Sweldong Pinoy Updates We have released Sweldong Pinoy for Minimum Wage Earners on April. Our apps our apps will no longer deduct withholding taxes for employees earning minimum wage if you select "Minimum Wage Employee" in the Employee Type. 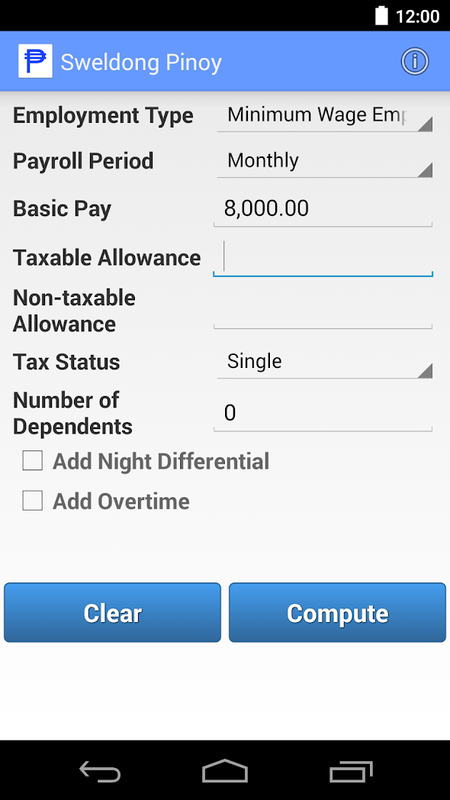 One of the requested features for Sweldong Pinoy is to update the app for employees earning minimum wage. Pursuant to Republic Act No. 9504, minimum wage earners are exempted to tax. 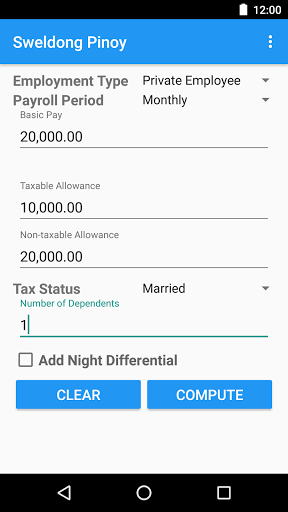 Now, our apps will not deduct withholding taxes for employees earning minimum wage if you select "Minimum Wage Employee" in the Employee Type before computing your salary. 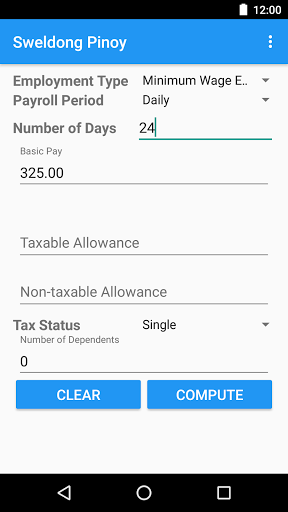 Aside from Sweldong Pinoy for Minimum Wage Earners, we also have some other updates for Sweldong Pinoy: For employees with daily pays, you can now provide the actual number of days and the app will compute your salary based on this instead of the previous default of 20. This is because not everyone works for 20 days in a given month. We are happy to announce that we have two updates to Thirteenth Month web app and Android app today. 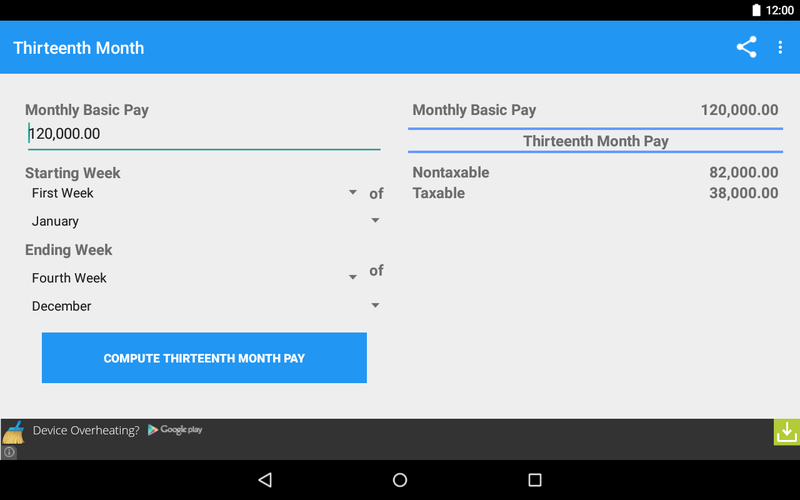 The other update is that the app is now computing for thirteenth-month pay based on the actual weeks inputted by the user. Let us know if you have comments and suggestions by sending us a message.